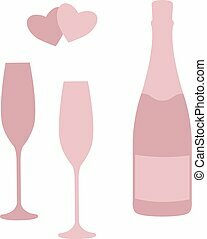 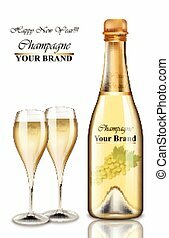 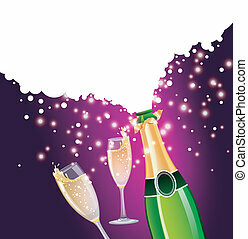 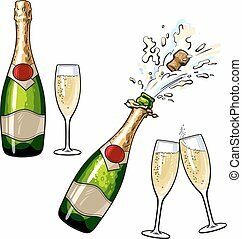 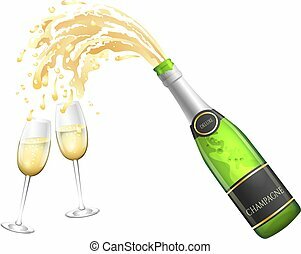 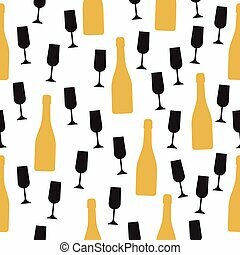 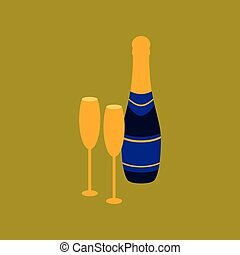 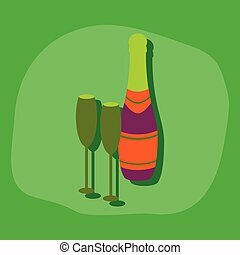 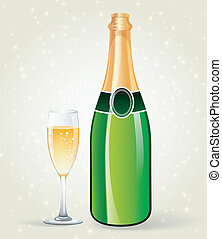 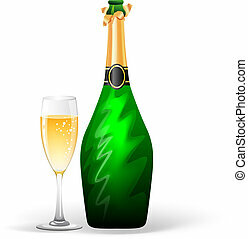 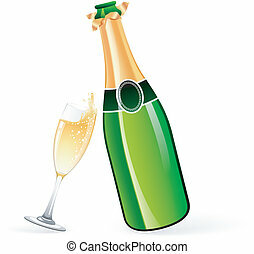 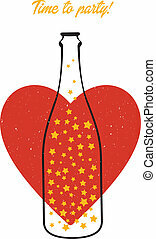 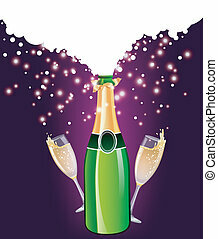 Vector illustration of champagne bottle and glasses. 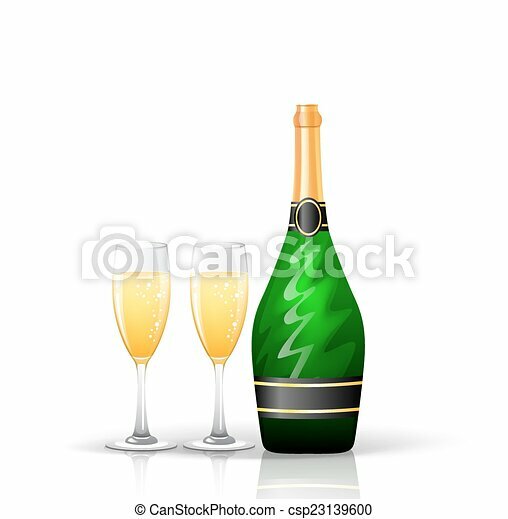 Champagne bottle and glasses isolated on white background. 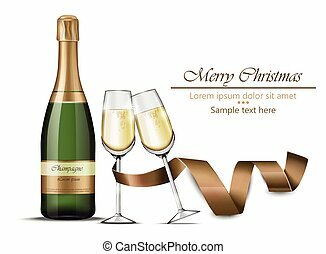 Design template for label, badge or logo. 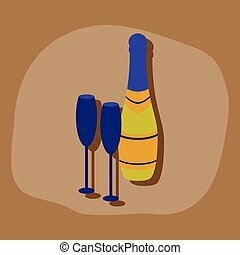 Champagne bottle and two glasses black silhouette icons. 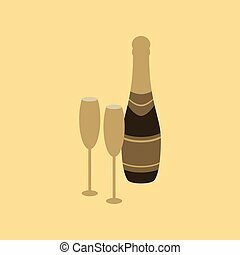 Simple minimal vector illustration.